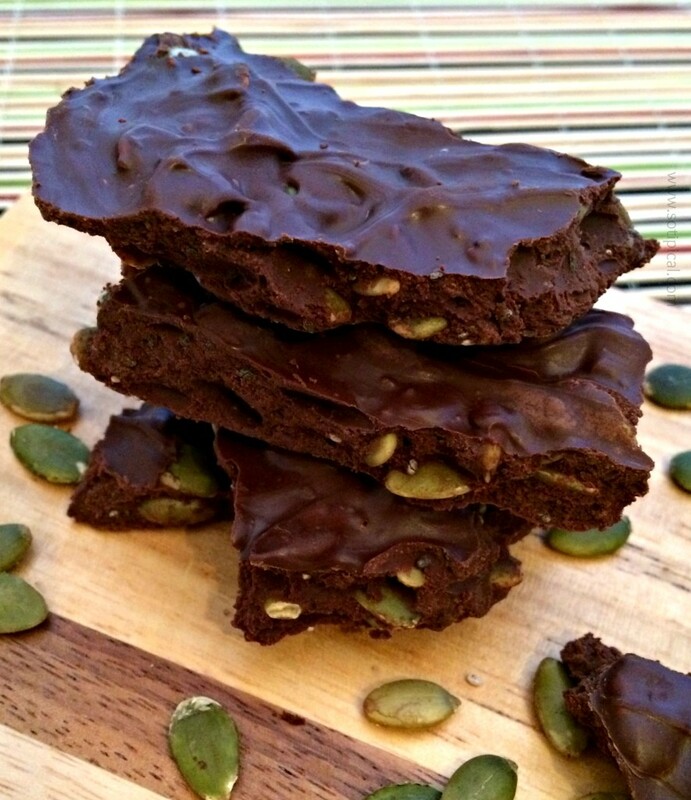 My Pumpkin Chia bark is the perfect combination of a little sweet, a little crunch, a little space, with a hint of salt. It will satisfy your sweet tooth while giving you added nutrition. My kind of treat! 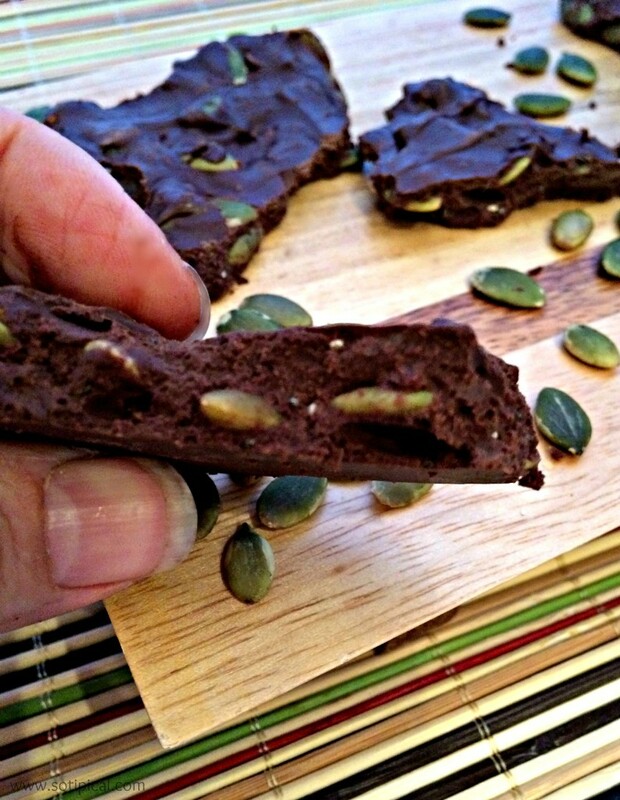 Pumpkin seeds contain magnesium, manganese, copper, protein and zinc making them tiny nutritional powerhouses! Chia seeds contain Omega-3 fatty acids, fiber and antioxidants. And well, who doesn’t love chocolate?! I saw something similar sold at my grocery store and thought I would just try making it at home. It was pretty expensive and I had most of the ingredients at home already. This was so easy! It literally took me under 5 minutes to prepare! First I recommend lining your pan with parchment for easy removal and cleanup. For thin bark, use a 9 x 13 pan. I used a 9 x 9 pan and made my bark a little thicker, but next time I will try the larger pan. You could also use a baking sheet, if desired. Begin by placing your chips in a microwave safe bowl. 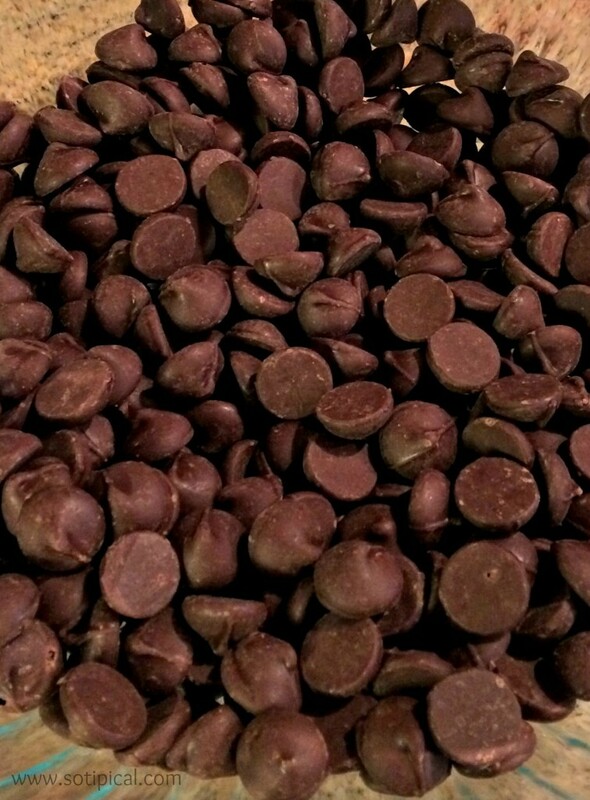 I used 1 1/2, 10 oz bags of good quality chocolate chips. Microwave for 30 seconds, then stir well. Return for another 30 seconds and stir again. My chocolate was more than 90% melted and while I stirred, the chocolate became a smooth, even consistency. If you chocolate needs additional time, add 15 second intervals until melted. Do not overheat in the microwave or the chocolate will clump and will not work in this recipe. 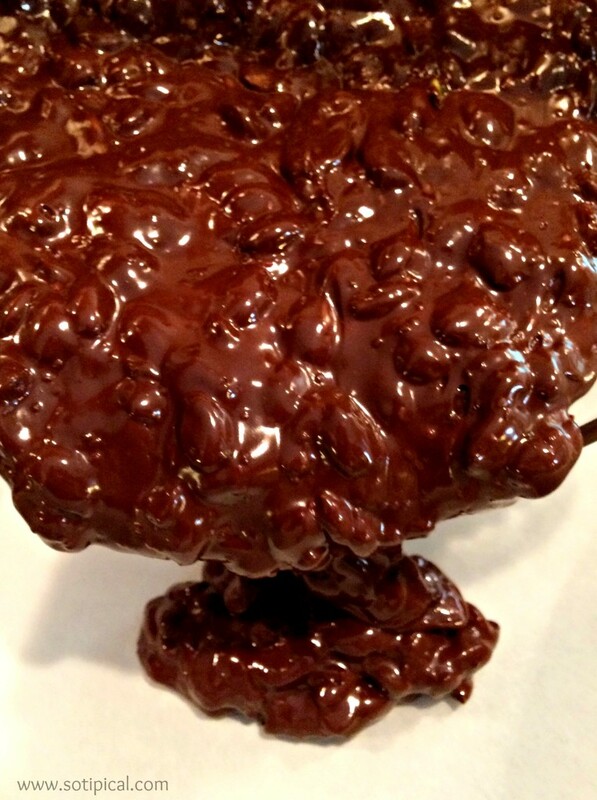 You can use a double boiler to melt the chocolate instead, if desired. 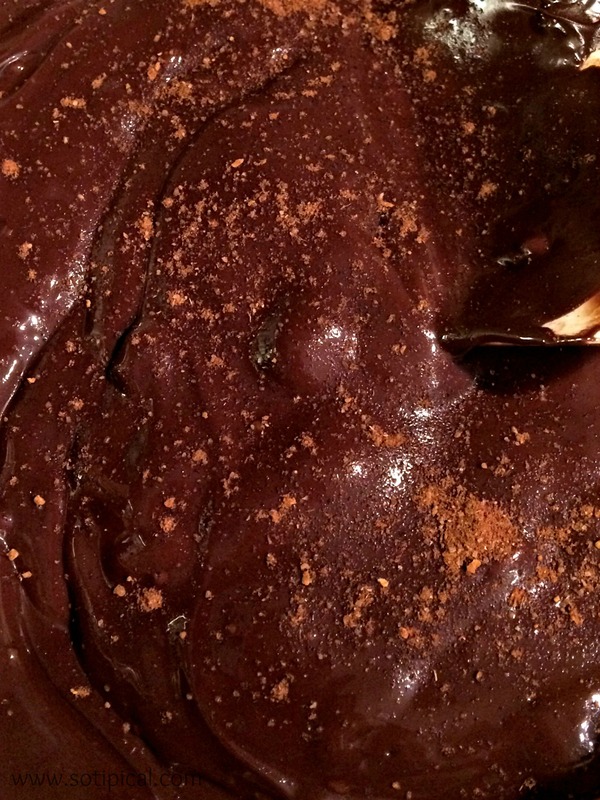 Once your chocolate is melted, add in the Pumpkin Pie Spice and pinch of sea salt. Then mix in the Pumpkin and Chia seeds. Combine well. Now pour your mixture into the lined pan. Spread out evenly and allow to completely cool and harden. I do not recommend using the refrigerator. 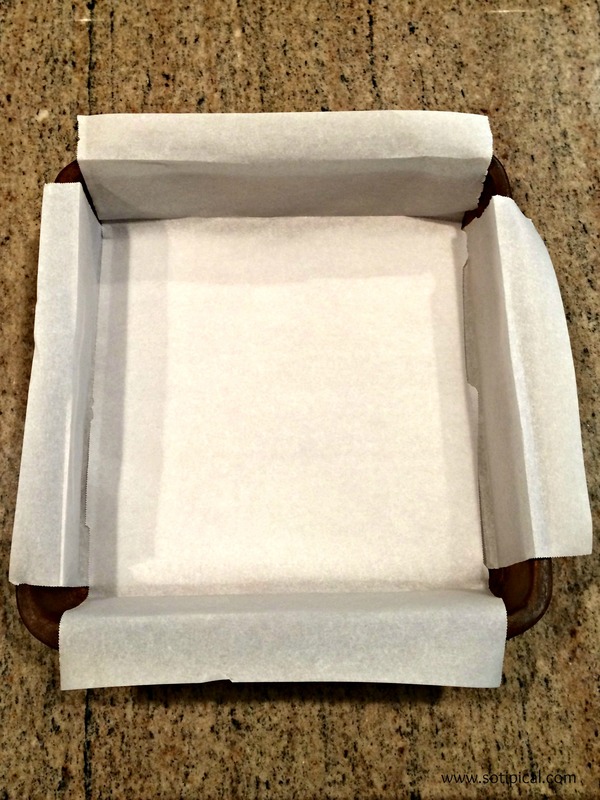 Often the chocolate will get a white film on top and it remains, even if you return it to room temperature. Once completely cooled and hardened, break into chunks and enjoy! Store in an airtight container. Pumpkin Chia Bark is a yummy treat and even just a small piece is enough to satisfy your sweet craving. My kids love it and have been bringing a piece in their lunch boxes each day! Who says a treat can’t be good for you too? 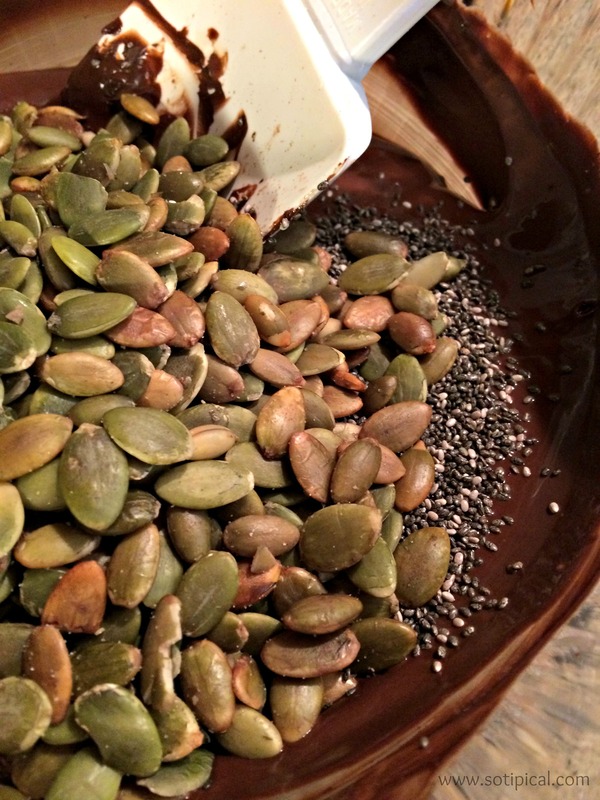 Would you add any additional ingredients to your Pumpkin Chia Bark? Let me know in the comments, I would love ideas to try with my next batch! Thanks Jennifer! I hope you try it!